We buy foreclosure homes in any condition for all cash and from distressed owners looking to save their credit and close in less than 20 days. We do residential sales, commercial, Co-ops, Condos, property management, Rentals & all sorts of Govt. programs that are available for our customers. We do Mortgages, Appraisals, Refinance, free market analysis & home evaluation report for any property. 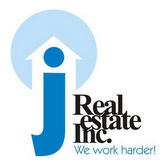 If you are buying, selling, refinancing or looking for a mortgage, please feel free to contact J REAL ESTATE, INC. qualified professionals, experience, integrity, and knowledgeable broker and agents to assist you to accomplish your GOAL.